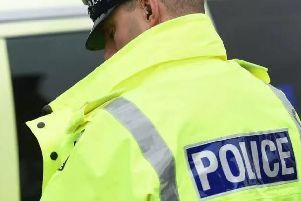 Four people have been arrested after immigration officers visited two nail bars in Worthing yesterday during a joint operation with Sussex Police, according to the Home Office. Acting on intelligence received, officers first visited Phoenix Nails, West Buildings, where a 29-year-old man from Vietnam was encountered, the Home Office spokesman said. He had entered the UK illegally and is now in immigration detention pending his removal from the UK, the spokesman confirmed. Glamour Nails, Montaque Street, Worthing, was the subject of the second visit where officers found three immigration offenders – a 24-year-old Vietnamese man, and two women aged 18 and 19, also from Vietnam, said the spokesman. The two women were working illegally, the spokesman said. The man and the 18-year-old woman had both entered the UK illegally and the 19-year-old had overstayed her student visa, according to the spokesman. The man and the 18-year-old remain in immigration detention pending their removal from the UK, confirmed the spokesman. The woman aged 19 must report regularly to the Home Office while her case is progressed, the spokesman said. Assistant Director Richard Lederle, head of the Kent and Sussex Immigration Enforcement team, said: “We are happy to work with businesses to explain the simple pre-employment checks needed to establish a person’s right to work in the UK, but to those who choose to ignore the rules the message is clear – we will find you and you will face a heavy financial penalty. “Illegal working is not victimless; it undercuts honest employers, cheats legitimate job seekers out of employment opportunities and defrauds the public purse. Glamour Nails was served a referral notice in relation to the two illegal workers, confirmed the spokesman. The notices warn that a financial penalty of up to £20,000 per illegal worker found will be imposed unless the employers can demonstrate that appropriate right-to-work document checks were carried out, such as seeing a passport or Home Office document confirming permission to work, the spokesman said. If proof is not provided, this is potential total of up to £40,000, confirmed the spokesman. The Home Office said information to help employers carry out checks to prevent illegal working can be found at https://www.gov.uk/government/collections/employers-illegal-working-penalties.